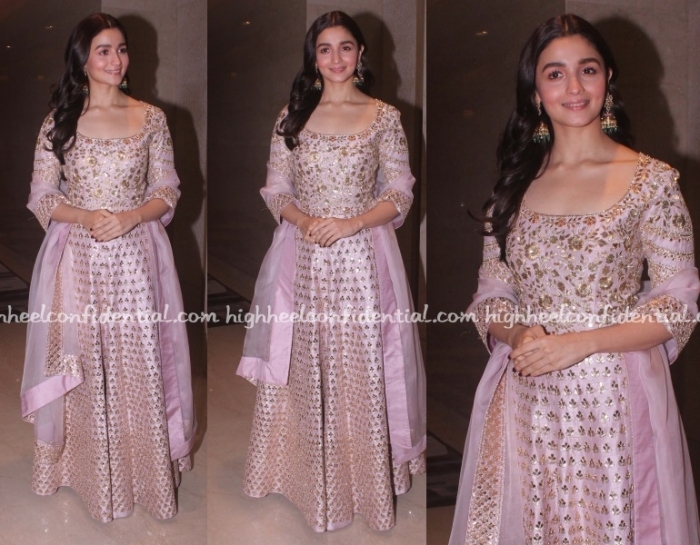 The pink streak continued for Alia who wore another Manish Malhotra on Friday to the NBT Utsav. I don’t know if it’s the lighting but the makeup looked a bit heavy-handed. Just me seeing it? She’s going through pinks and reds like Katrina did… wats the reason. It’s the lightning. Her make up was perfect. Not a fan of MM, but Alia makes everything look good. Doesn’t seem heavy handed… bt her dressing is in safe zone these days, mostly repetitive. Dear MM – please please please please make better clothes. Alia can make anything look nice. The color is lovely on her.